Global trade has never been so easy! The web has removed geographical barriers from international trade. If you can overcome language and cultural barriers, the world truly is your oyster. The UK export trade is worth millions, and with a well-localised website, you are better positioned to tap into these growing international markets. Positioned between the translation and web industries, Web-Translations offers a unique, low-risk, low-cost approach to international eBusiness. 1) Make friends with Google. Google has a host of online tools to help you analyse market data and understand trends around the world. The Market Finder tool can recommend the best market for your business, providing insights to help you reach the audience in a particular country. Google Trends shows what topics are trending in a particular country, as well as providing data on individual search terms. More fantastic graphs and charts help you to decide if a particular market really is ready for your products! 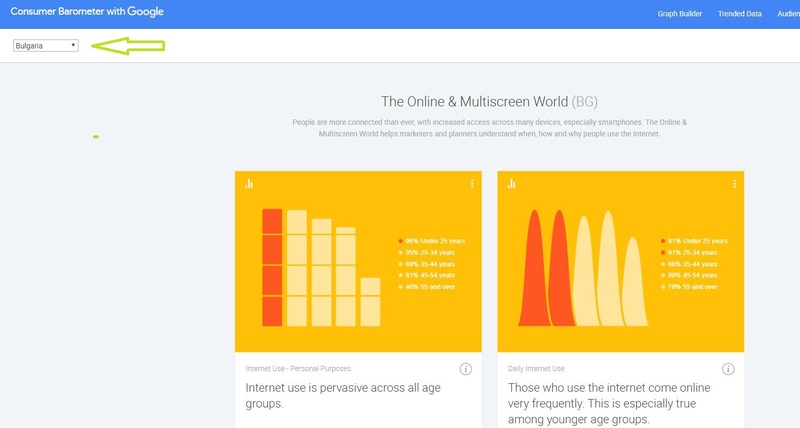 The Consumer Barometer tool can show you how people around the world use the internet. Select a country, and find out a load of useful statistics! 2) Digital First. Start with an e-commerce site, and you can be trading internationally very quickly. It’s a lower risk strategy, with the cost of entry much lower than a traditional bricks and mortar business. If business takes off, then you can look to a multi-channel strategy. 3) Involve – and empower – the right people. A dedicated exports team within your business is essential; a separate team will prioritise the export market, making better decisions more quickly. Involving team members from top management will also help by ensuring that the export market is a factor in pricing, marketing and product development. 4) Research your brand, strapline and product names. Knowing what people in your target country think about these is valuable information. Should you localise your strapline? Should you translate the product names? Does your brand name remind them of anything positive or negative? At Web-Translations, we can help you access this information. Contact us about our International Brand Research service. 5) Be bold. First mover advantage matters to business success, so try a number of different markets, and move quickly. 6) Market it! A great e-commerce site is only the first step; digital marketing is essential for getting visitors. Include social media campaigns in your initial plans, as well as PPC advertising. Google’s Keyword Planner tool has plenty of info on international searches, and if you need more help, Web-Translations can create adverts and lists of keywords for you. We can also localise your tweets and facebook posts.